For any business or private client searching for shipping container rental Centralia WA residents and companies can all recommend with a smile, make sure to check us out here at Haulaway Storage. We’re the company that first offered portable steel storage units to construction projects of all varieties in 1968, so we’ve spent quite a few decades continuing to learn the needs of our treasured clients, improving the materials and quality of our equipment, and expanding our reach so more can take advantage. We now market portable storage containers everywhere on the west coast, from personal home renovations to retail stores, from corporations to branches of government. We’ve learned right along with our customers the many different benefits a mobile storage unit can bring to a creative variety of jobs and industries. We’ll give you undeniably great rates, top-notch quality, and service that can’t be beat, so get started on your shipping container rental in Centralia WA through Haulaway Storage. Whether you’re renovating a house or running a construction site, seeking storage for maintenance equipment or looking to set up housing for a supply of backstock in a retail establishment, there’s a solution to be found for you in portable personal storage. Each storage container from Haulaway is built from solid 14-gauge steel, wind-and-water resistant, with a raised hardwood floor to keep any dampness from the ground out. We also equip all our storage units of all different sizes with our personally designed and patented Rhino Locking System, a great asset in our commitment to providing utmost security to our clients’ stored goods. You can even use a storage container as an on-site tool shed or small lockable workroom, with the doors on each end providing excellent cross-ventilation in the warmer months of the year. Check out your options to find the best match for yourself online and get a free price quote, and always feel free to call with any further questions. 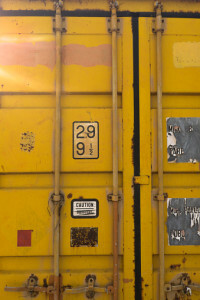 When you want to get the best shipping container rental Centralia WA has to offer, you come to Haulaway Storage, for our amazing rates, trusted equipment, and shining reputation in the community and throughout the west coast.